No matter how much we love the home we live in; there is usually some sort of problem that keeps it from being completely perfect. One of the biggest complaints homeowners have – and rightly so – is a basement that’s either too damp or floods on occasion. An unfortunate side effect of a basement prone to flooding is that some appliances – like water heaters – aren’t always safe. You should know, however, that when it comes to hot water heating, you have an option – a tankless water heater. Tankless water heaters combine energy efficiency and continuous flow hot water capabilities. What makes them so efficient? They only heat water on demand, as opposed to an entire tank at a time. That provides you with an endless source of hot water, while helping you save money on your energy costs by not heating and reheating the full tank of water time and time again. As a result, you won’t have the standby energy costs of a traditional hot water heater, and that can help you save on your energy bills. What’s more, many of today’s tankless hot water heaters offer convenient controls that make it simple for you to adjust your home’s water temperature. That way, you can change water temperatures for desired home tasks – hotter for dishes, cooler for children’s bath time, and just right for your own relaxing soak in the tub. You’ll easily be able to operate the temperature controls on most tankless hot water heaters, and your installer will be more than happy to show you how. And, if flooding or even basement floor wetness is a concern, as we mentioned before tankless water heaters are a good solution. They are small, about the size of a medicine cabinet, and can be mounted on the wall. That way, you won’t have to worry about it coming into contact with too much moisture, which can affect an appliance’s electrical function – and can prove hazardous for the homeowner. Family Danz, who you’ve come to rely on for your home comfort needs, is pleased to offer you plumbing services as well, including the installation, maintenance and repair of hot water heaters. If you’re considering a tankless water heater for your home, give us a call at 518-427-8685. We’ll tell you about the different tankless water heater products and services we offer, and help you find the solution that best suits your needs. In most homes, the bathroom is arguably the busiest room in the house. Between showers, baths, flushes and hand washings, the plumbing in your bathroom gets a lot of use daily – and that means sooner or later, you’ll need to consider replacing it. How do you know if your fixtures just need a cosmetic facelift – or if the problem goes deeper? According to the Angie’s List website, there are five signs that can tell you your bathroom plumbing needs replacement. Outdated sink, tub and shower hardware: If your hardware is showing signs of wear and tear, then it’s time to replace it. It goes beyond cosmetic concerns – outdated hardware that doesn’t come clean, is chipped or is rusty can cause health concerns. If you are a do-it-yourselfer, you may be able to replace your hardware without much of a problem, but for many it’s simpler to just call a plumber to help. 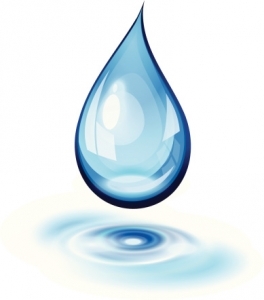 Visible water concerns: Leaks and waterline issues are definite indicators that a plumbing upgrade may be necessary. Your hardware may not be properly sealed if you’re noticing water pooling around your sink tap fixtures or if your tub and shower fixtures have water leaking from them. Slow draining sinks and tubs can also indicate plumbing issues – it could be something as easily remedied as a simple clog, or something more ominous, like a cracked pipe causing the water to go somewhere it shouldn’t. Water pressure and volume concerns: If your showerhead is down to a trickle it could be a sign that your pipes have corroded. As time goes by, galvanized steel pipes break down and their diameter becomes smaller – and that means lower water flow. Sinks, tubs and toilets can all be affected, but you’re likely to notice more with your shower. If this is the problem, you’ll need to call in a plumber, because you’ll likely need a pipe replacement. 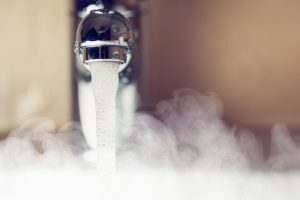 Dirty, smelly water: If your water looks rusty and has a foul smell, you probably need to replace more than pipes – it might be time for a new water heater. When most water heaters are new, they are able to keep out corrosive materials and bacteria through the use of steel rods covered in aluminum, zinc or magnesium. After some time, though, these rods don’t function as well, letting the corrosive materials and bacteria in. The only real fix is a new unit. Presence of mold: Have you noticed mold and mildew growth on your bathroom walls, ceiling or floors? That could be an indication that you have pipes leaking somewhere in your bathroom. Even if you don’t see mold, any area on walls or ceilings that stays damp long after you’ve bathed or showered is a pretty good indication that there are leaks. Over time, those wet spots will become the perfect breeding grounds for mold, mildew and bacteria. You’ll want a plumber to come check them out right away. If you need quality plumbing services for your home, Family Danz is ready to assist you. You’ve trusted us to meet your home comfort and oil delivery needs for 40 years, and now we can help you get the plumbing products and services you need as well. From running toilets and leaking faucets to a complete plumbing overhaul, our plumbing technicians are ready to assist you with the needs of your home. Just give us a call at (518) 427-8685. We’ll tell you about the different plumbing products and services we offer, and help you find the solution that best suits your needs. If you’ve been considering replacing your hot water heater, you might want to consider going tankless! You may have heard of tankless hot water systems, but not be entirely sure what they offer. According to ENERGY STAR, tankless water heaters heat water only when necessary, while also providing continuous hot water to your home. This enables a tankless hot water heater to slice your home energy usage – and save you on your utility bills. How are they different than a traditional water heater? And is one the right choice for your home? Tankless water heaters, unlike standard water heaters, don’t store water. They heat water in the same way, but unlike a traditional hot water heater, cold water is drawn into the unit and heated, until the water is no longer in use. 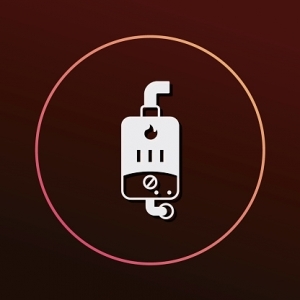 There is no large tank of water that must be continuously heated and maintained, which enables a tankless hot water heater to be more energy efficient. But according to ENERGY STAR, savings isn’t the only thing you’ll enjoy when you choose a tankless hot water heater. First of all, the endless flow of hot water means you’ll never have to suffer through a cold shower again. You can rest assured that laundry that needs to be washed in hot water will be, and your dishwasher will get the job done, leaving your dishware clean. Another benefit of a tankless hot water heater is the size and installation. Tankless water heaters are compact and wall-mounted, freeing up space. Not to mention, because they’re wall-mounted, tankless water heaters are a good choice for areas prone to flooding. You can also count on longevity – tankless water heaters have an average life expectancy of 20 years! At Family Danz, we’re pleased to install tankless water heaters that provide you with quality performance and the hot water you need for your home comfort. Our experienced staff of plumbing experts has been specially trained to provide you with the best tankless water heater for your home and your budget. And, at Family Danz, we always treat our customers like family. You’re our top priority, and we always treat you like family. It is our aim to provide you with the best tankless water heater installation available. If you live in Albany, Schenectady, Saratoga or the surrounding areas and need a tankless water heater for your home, give Family Danz a call at (518) 427-8685. We’ll tell you about the different tankless water heater products and services we offer, and help you find the solution that best meets your needs. People who have hard water in their homes often just deal with it as a part of life. They may not realize the extent of their hard water problem, or they may not be aware of the detrimental effects that can be caused by hard water. If you’re unsure if you have hard water in your home, there are telltale signs that can help you know. In a study performed by the University of Kentucky, researchers outlined ways homeowners can tell if hard water in their home is a problem, and gave some reasons why installing a water softener may be helpful. Laundry concerns. If you have hard water, your clothes may look dingy, your whites may appear grey or yellowed, and fabrics feel scratchy and uncomfortable. Spotty dishware. If you’ve noticed spots on your glasses and dishes, hard water could be the culprit. If you need to use a lot of dish soap to get suds, that’s a symptom of hard water, too. Shower conundrums. Do your glass shower doors, basins and tubs have a scaly buildup? Does your showerhead not flow properly? Then you probably have hard water issues. Appliance problems. Water heaters start to falter when they get clogged with the sediment and scale hard water causes. Same goes for other household appliances, like humidifiers, coffee makers and dishwashers. High utility bills. When scale builds up on the heating element of appliances such as water heaters, it takes more energy to create the needed hot water – costing you more on your energy bills. If these problems are cause for concern in your home, then it may be time to consider a solution. You can reduce the water hardness in your home by installing a water softener. There are many different types available that can help you and your family enjoy better water in your home. There are many advantages to installing a water softener, including cleaner, softer clothing, less usage of household cleaning products like laundry detergent and dish soap, reduced use of personal care products like shower gel and shampoo, and longer life for appliances like washing machines, coffee makers, dishwashers and water heaters. The study cautions that homeowners considering the purchase and installation of a water softener should “buy only from a reputable dealer.” That’s where Family Danz can help. We’ve been working with people on their home comfort needs since 1976, and we want to help you get the softened water you need for your home. Our plumbing technicians have been specially trained to help with any plumbing concern you may have, including hard water problems. We serve Albany, Schenectady, Saratoga and the surrounding areas. Call us at (518) 427-8685 and we’ll help you find the right solution to your hard water problems. We know the area. Family Danz has been helping people throughout the Capital District with their home comfort needs for 40 years. That means we have a wide customer base spanning the Albany, Schenectady and Saratoga areas. We’ve already been in your neighborhood for years, and have been a trusted home comfort provider since 1976. We know your town, village or hamlet, and understand how to meet your needs. We’re family owned and operated. Bringing you optimal home comfort is our way of treating you like family. For years, that’s meant keeping you comfortable with the best heating and cooling products available. Now, we want to help you enjoy better comfort with the top brands of plumbing products as well. We can help you install a new hot water heater or water softener, as well as service the plumbing in your home. We offer comprehensive services. We can do a lot more than simply repair your leaky faucet, although we can do that, too! When you call Family Danz to help you with your plumbing needs, we offer a wide range of products and services to meet your needs, including: tankless water heaters; hot water heaters; kitchen plumbing; bathroom plumbing; water filters; and, water softeners. We can help, no matter what you need! We have an A+ rating with the Better Business Bureau. At Family Danz , we pledge to be honest and helpful to all of our customers. We will always look out for your best interest and provide exceptional products and services of the highest value, to ensure expected comfort and safety. We do this in a manner that no other company can provide. We promise that you, the customer, will be 100 percent satisfied. Your home is safe with us. We have an exceptional reputation with great references, and we work hard to make you feel comfortable when we enter your home. We’re licensed and insured, and our technicians are certified and receive proper, ongoing training. And, when you choose us for your plumbing needs, you’ll have full access to our entire suite of services, including heating, cooling, heating oil and commercial services. When you need plumbing services in your home, you’ll be glad to know that Family Danz is ready to help you. We are pleased to help people living in Albany, Schenectady, Saratoga or the surrounding areas with their needs. Simply give us a call at (518) 427-8685, and we’ll tell you about the different plumbing products and services we offer, and help you find the solution that best meets you needs. Nobody wants to think about it, but as long as you have indoor plumbing in your Albany, NY area home, you’re a candidate for a plumbing emergency. When you’re in the midst of an emergency, and you’re dealing with leaks, overflows and water, water everywhere, it can be hard to remember what to do. At Family Danz, we know that household emergencies can happen at the most inopportune times. That’s why we work hard to help our customers whenever an emergency need arises – and part of that assistance is arming them with the information they need to control the emergency until help arrives! Cut the H2O. 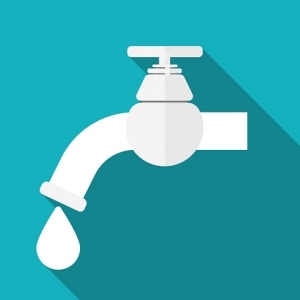 Shut off the water right away when you find a leak and/or other plumbing problem. One little leak can cost a lot of money if ignored. Usually fixtures like sinks and toilets have their own shut-offs, but if you can’t find it or if you shut it off and water is still leaking, turn off the main water supply to your home. Look over any damage. Once the water is off, check the damage done and make note of it. That way, you can provide the plumber with this information, which will help them understand the nature of your plumbing emergency. That way, it’ll be easier for them to remedy the problem quickly. Call your water company. If you’re on a municipal water supply, you should contact your water company if the problem you’re having is with the main sewer line, the main water line, or a blockage. You may not be responsible for the issue, and your water company may send a plumber to fix the problem right away. Contact Family Danz. 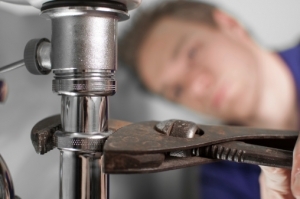 We can provide you with 24-hour emergency plumbing services for your Albany, NY area home. Please make sure you have all the information available when you call, such as what parts of your home have been affected, whatever damages you’ve noticed, and what you’ve done to stop any leak or overflow. 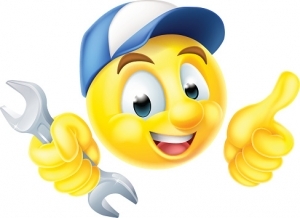 That way, we’ll be better able to serve you when we come to your home to make the needed repairs. At Family Danz, we take great pride in the work we do for our customers. It is our goal to provide the best plumbing installation, maintenance and repair services available in the Capital District. Since we opened our doors 40 years ago, we have made customer service a top priority. We never consider the work we’ve done for you complete until you’re entirely satisfied with our products and services. If you live in Albany or the surrounding areas and need emergency plumbing services for your home, give Family Danz a call at (518) 427-8685. We’ll tell you about the different plumbing products and services we offer, and help you find the solution that best suits your needs. Family Danz is pleased to announce that we’ve now added plumbing services to the suite of services we offer our customers. On the eve of our fortieth year in business, we’re proud of how Family Danz has grown over the last four decades, and we’re extremely happy to be able to offer you even more services for your convenience. 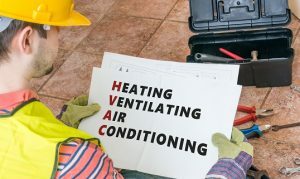 When you choose us for your home comfort needs, you’re choosing a company you can trust, time and time again, no matter what your needs may be. That’s because at Family Danz Heating & Cooling, we believe in treating our customers just like family – something we’ve pledged to do since opening our doors in 1976. Because of this level of dedication to our customers, we’re pleased to have an A+ rating with the Better Business Bureau. What’s more, we believe that being courteous to customers should be a given. When you call us, our knowledgeable staff will answer any questions you have accurately and politely, schedule appointments according to your needs, and attend to any emergencies you may have promptly. Our qualified staff of plumbing technicians is able to help you with all your plumbing repair needs, including toilets, sinks, baths, water heaters and more, as well as plumbing accessories such as water softeners, filtration, disposals and sump pumps. When you need plumbing services for your home, you can now count on the experts who have met your home comfort and home heating oil needs for 40 years – Family Danz. We’re ready to assist you. Simply call us at (518) 427-8685 and we’ll be more than happy to help.